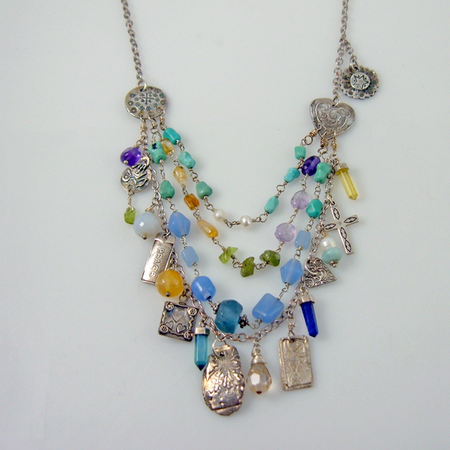 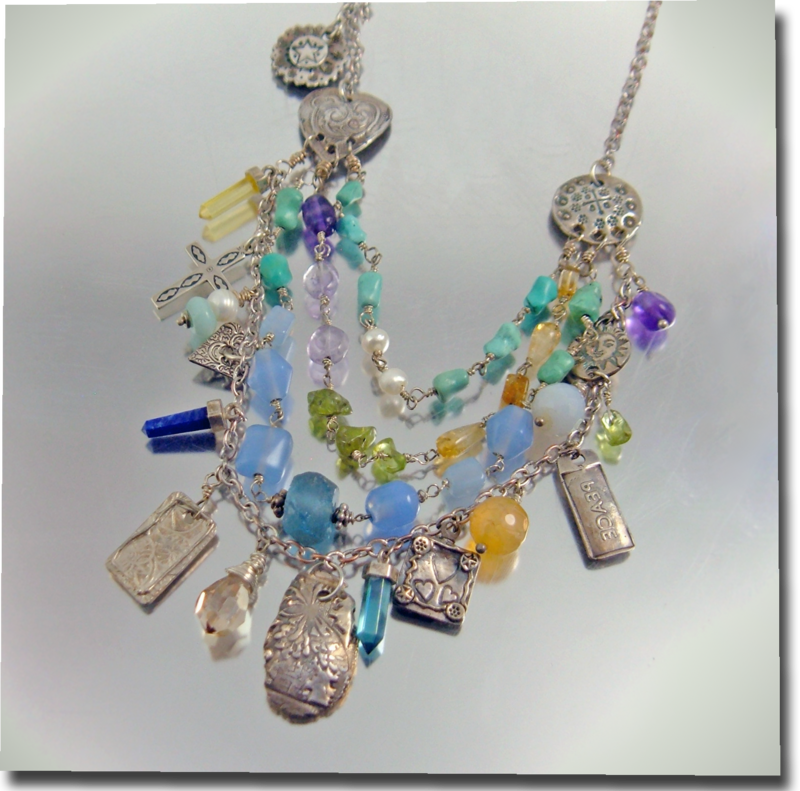 Made of sterling silver, accented with hand made fine silver charms, and adorned with multiple gemstones. Every inch is a treasure. 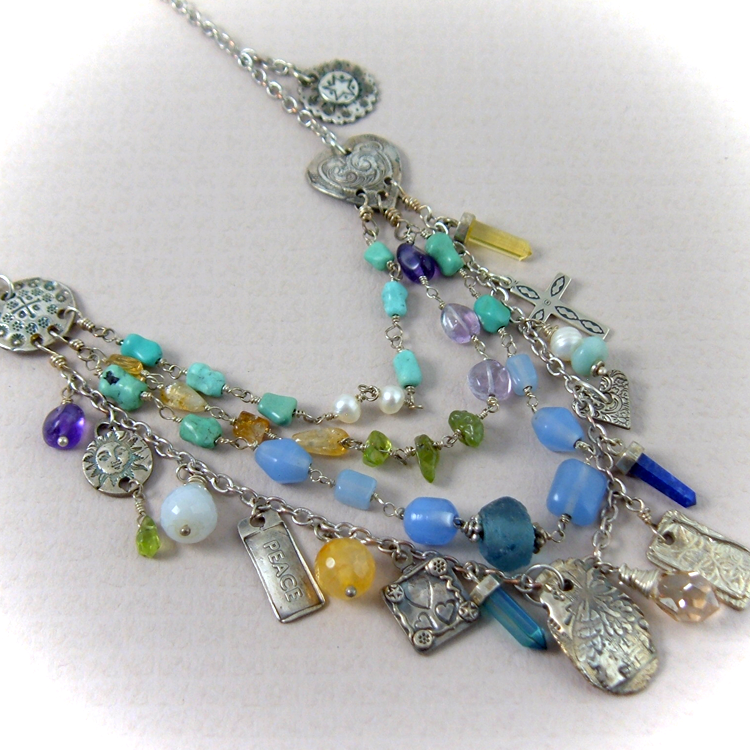 Turquoise, citrine, freshwater pearls, blue chalcedony, amethyst, lapis, and ancient blue Roman glass all wrapped in silver. 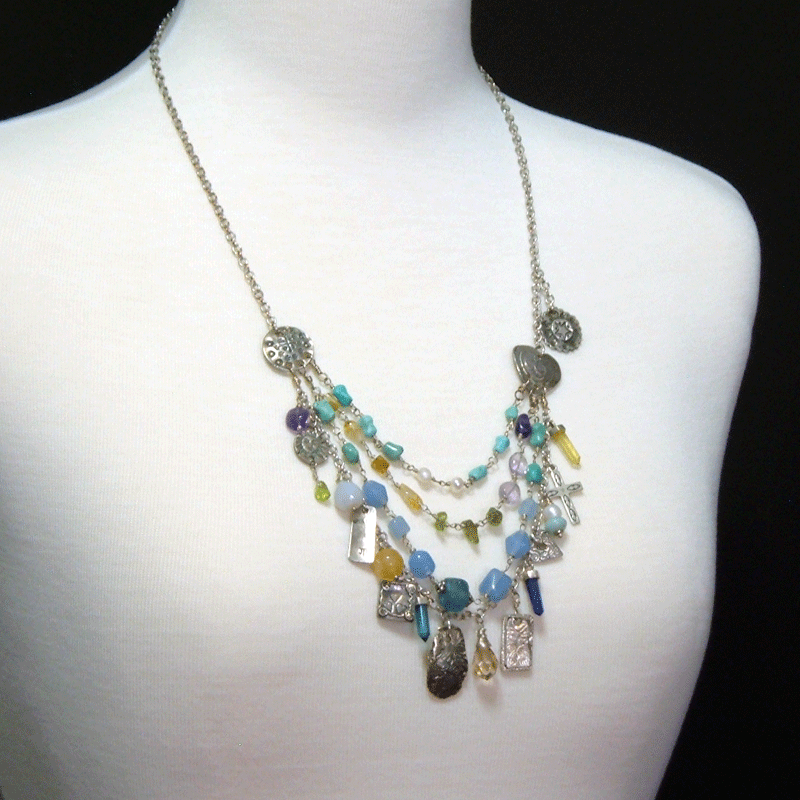 Topaz, quartz points, and multiple 99.9% fine silver handcrafted charms embellish its adjustable sterling silver chain necklace.